I’m often asked what’s the one thing from home that I miss the most as an American living in Paris. Besides my family, I always respond “MEXICAN FOOD!” Even with some of the best French food around, it’s hard not to miss a good chimichanga/ taco/ chile relleno and horchata every now and then. 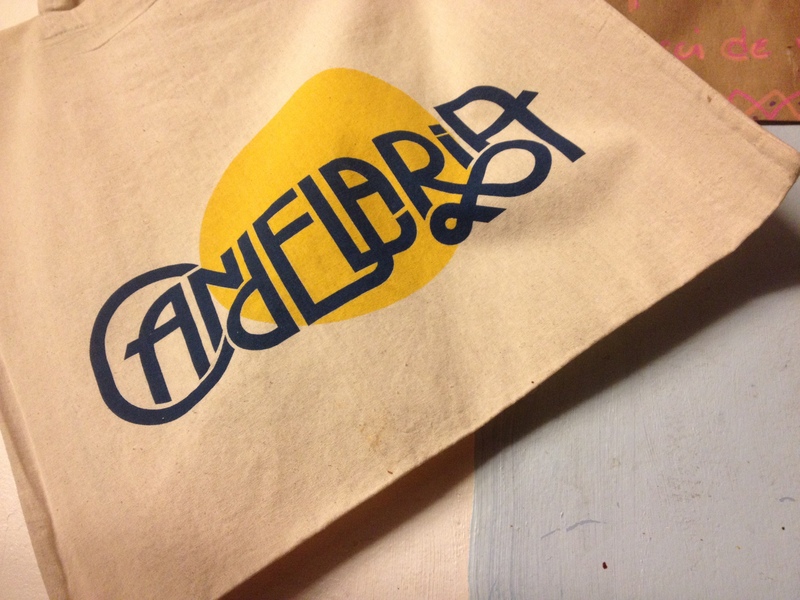 Well, last week was one of those weeks so Romain suggested we try out the Candelaria taqueria in the 3rd arrondissement. We arrived early and the place was already filling up – which isn’t hard to do as it’s quite small. 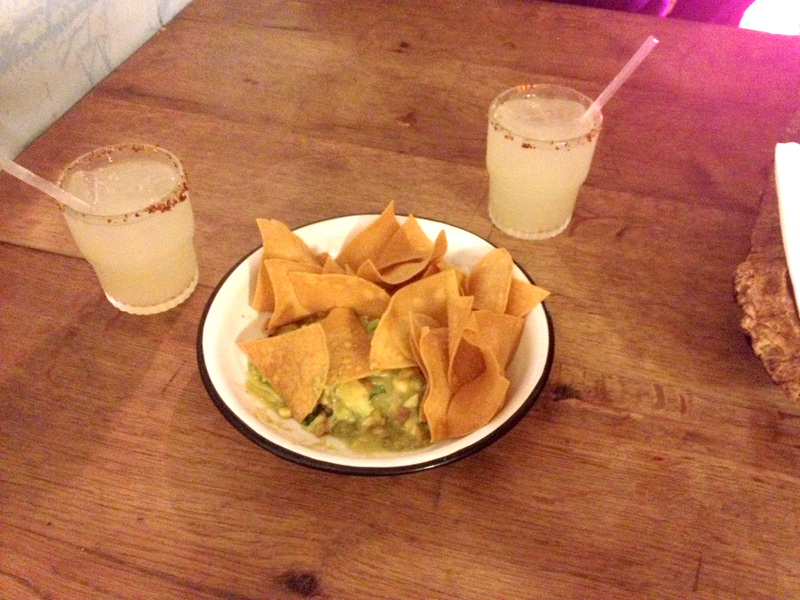 After a quick look at the menu, we decided on some fresh guacamole for starters. Homemade chips + fresh guacamole = amazing. Following the appetizer, we ordered all four tacos (Alambre, Hongos, Nopal and Queso Fresco) and of course a margarita to wash it all down. The menu did not disappoint! 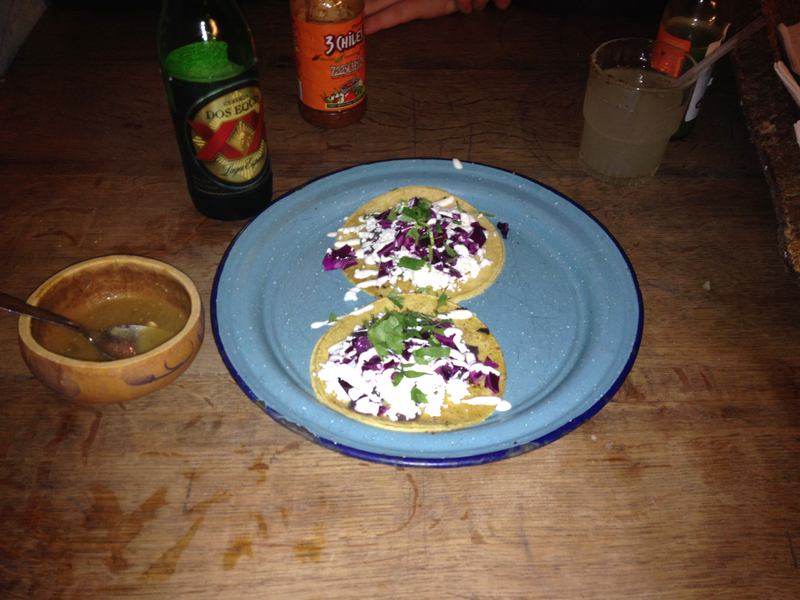 The products were fresh and delicious and by far the best tacos that I’ve eaten since living in Paris. 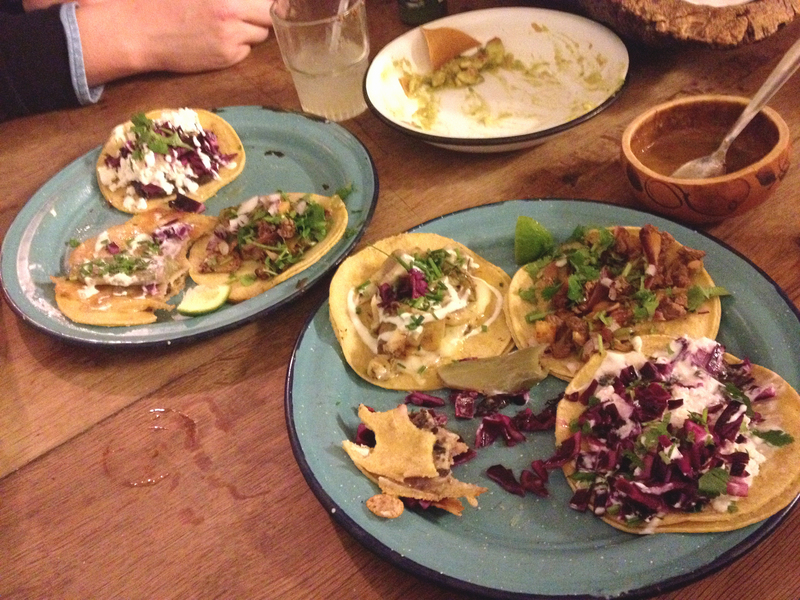 I was especially a fan of the Queso Fresco taco – fresh cheese with a kind of marinated cabbage – so delicious that we had to order more. 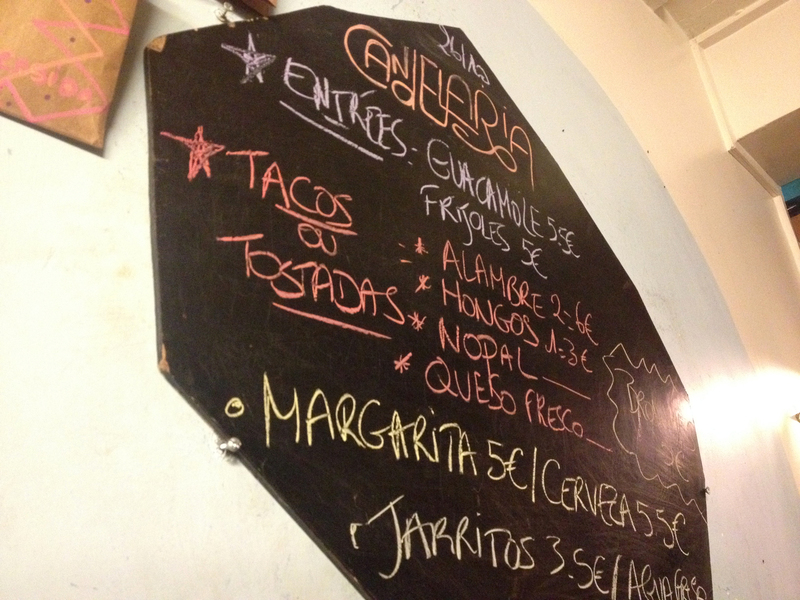 So next time you’re craving some tacos in Paris, this is the place to go. The ambiance is cool, the staff is friendly and the food is fresh. I’m already looking forward to going back for more! One last thing, don’t forget to check out the “hidden” bar behind the taqueria for a cocktail afterwards!